We have two press break machines available for the forming process. 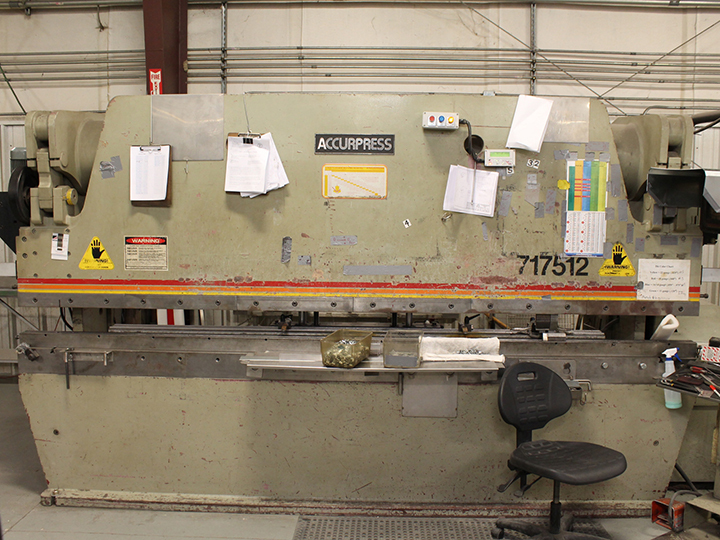 The Accurpress machine is a 175 ton capacity machine with hemming capabilities and handles metal materials up to 1 inch thick and 12 feet wide. 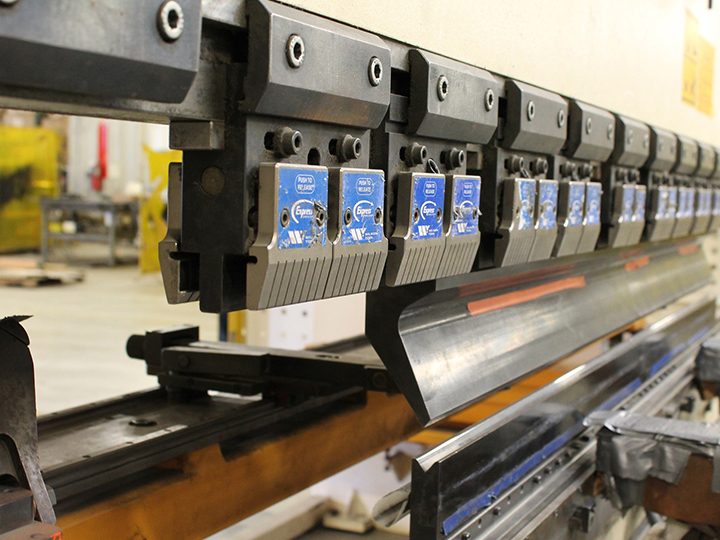 The Ermak press break machine has a capacity of 176 tons and also handles metal in sizes up to 1 inch thick and 12 feet wide. 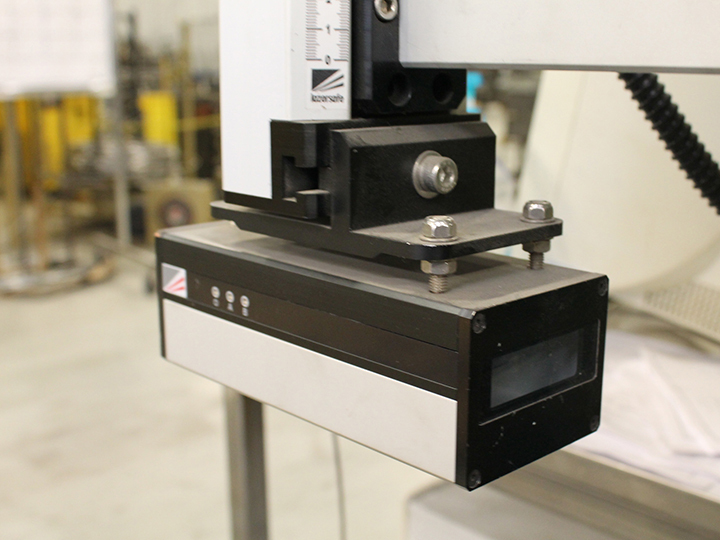 All press break machines include laser guards and comply with all regulatory safety standards.